Cloak your self with this majestic burgundy King's Robe trimmed in faux fur. Available in one size fits most adults. 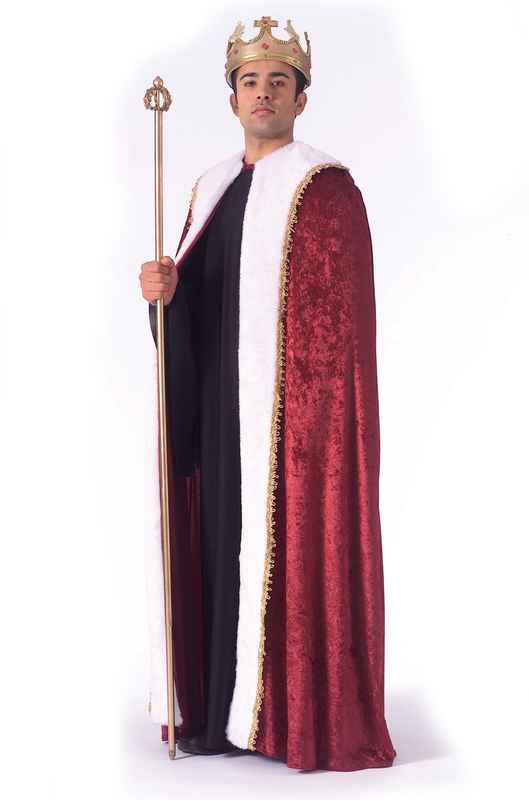 Measures approximately 56"L. Crown and scepter sold separately. Pants and shirt not included.